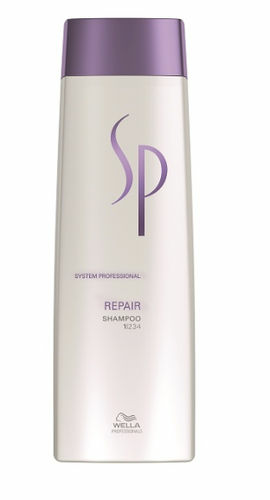 Wella System Professional Repair Shampoo is the perfect solution for dull and damaged hair. This daily shampoo provides enriched cleansing with a repair effect that gives even hair structure. It effectively repairs, regenerates hair and makes it soft to touch. The Repair range is designed for damaged hair which can be easily identified as hair that looks dull, straw like, is limp and lacks vitality. Is very difficult to comb and is porous with a tendency towards split ends.